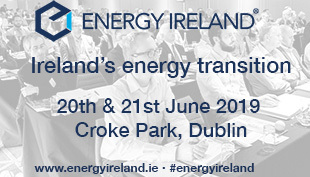 Following the successful roll out of natural gas vehicles (NGVs) for transport fleets across the UK, Phoenix Natural Gas Chief Operating Officer, Ivan Bell, leads the discussion on adopting this innovative solution in Northern Ireland to deliver on its energy strategy. Over the past 20 years the natural gas industry has quietly established itself as a major utility in Northern Ireland. By the end of 2018 there were 217,000 customers connected to the network and natural gas available to 320,000 properties in the original licence area of Greater Belfast. A penetration level of circa 65 per cent is impressive from such a greenfield start. A recent network expansion into East Down will make natural gas available to an additional 28,000 properties, a project that will see a further £60 million investment and 13 new areas able to avail of the social, economic and environmental benefits of natural gas. Whilst the expansion project will continue until 2022, new connections in this area are already contributing to customer growth of 8,000 to 9,000 per year. This continued investment and growth is in addition to the continued growth of two other gas network operators within Northern Ireland, firmus energy and SGN. In what promises to be an exciting period of growth across the three licences it is anticipated that up to 70 per cent of properties within Northern Ireland will have access to the natural gas network by 2023. To date the gas industry has focused on the delivery of highly efficient, convenient solutions for heating, cooking, modern gas appliances and industrial and commercial manufacturing and processing needs, contributing significant carbon savings across all sectors and offering technological solutions that support fuel efficiency and modern-day consumer needs. With over £1 billion investment in the industry infrastructure and over 2,000 people employed locally, it makes sense to ensure that future gas utilisation opportunities across all sectors are explored. In Northern Ireland the most significant further opportunity exists in the transport sector where around 40 per cent of Northern Ireland’s energy is used. Critically, an estimated 25 per cent of CO2 emissions are from the area of transport, with 21 per cent attributed to heavy duty vehicles, such as lorries and buses. Therefore, switching these vehicles to a low carbon, sustainable form of energy will be a critical element of decarbonising heavy transport, and bringing about economic benefits. Whilst electrification may be the main solution to the decarbonisation of domestic vehicles, the debate regarding the solution for heavy goods vehicles is very much alive, a debate in which natural gas is right at the forefront of discussions. Natural gas in the form of Compressed Natural Gas (CNG) or Liquified Natural Gas (LNG) as a transport fuel has significant environmental credentials over competing fuels. At a juncture when the Department for Economy is developing renewed objectives and an associated strategy for Northern Ireland’s energy framework, it seems like an ideal time for these credentials to be highlighted. Compared to diesel there is a 10 to 30 per cent reduction in CO2 emissions and more than 30 per cent reduction in NOx. Whilst natural gas is not a renewable source there has been significant development in the production of ‘renewable’ gas, such as biomethane, which can be produced from the anaerobic digestion of organic matters and can be injected into the natural gas distribution network. Greenhouse gas (GHG) emissions are further reduced when using biomethane gas, which delivers additional environmental benefits. Gas powered vehicles are also significantly quieter than diesel vehicles offering the added benefit of improving the prospect of noise pollutions across towns and cities in Northern Ireland. Although CNG and LNG vehicles have a higher initial cost, the investment can pay back in as little as two to five years (depending on the vehicle, use of vehicle and the comparative price of oil/diesel). Fuel duty in the UK for natural gas has been fixed by regulation at 24.7p/kg (18.6p/litre) until 2024, compared to diesel at 57.95p/litre. Northern Ireland’s existing gas infrastructure has been suitably built and sized to embrace the natural gas vehicle industry. Whilst additional investment would be required to allow for gas refuelling points, this is an opportunity that can tap into the private investment that already exists in Northern Ireland. The investment case will further improve if substantial increases in global LNG production, combined with slow growth in demand, creates further downward pressure on natural gas prices. Whilst the discussion around natural gas vehicles in Northern Ireland is reasonably new, there are already over 1.2 million gas vehicles operating across Europe (dedicated or dual fuel). Drivers are reacting positively to gas vehicles as they are experiencing reduced noise levels, less fumes and an easy refuelling process. Cadent, the UK’s biggest gas network operator, commissioned independent analysis of the first 14 months of a station, operated by CNG Fuels, at Leyland, Lancashire. Its customers include trucks from supermarket Waitrose. Cadent says this report provides evidence that compressed natural gas (CNG), should be the fuel of choice for HGVs in the future. • dedicated gas vehicles refueling on fossil CNG at a station on the high-pressure network would emit 15 per cent less CO2 ‘well-to-wheel’ than equivalent diesel vehicles. The natural gas vehicle industry is now well established across GB and the rest of Europe and the wider economic and environmental impacts have been celebrated by those regions embracing the technology. This learning has given Northern Ireland a chance to reflect on the successful implementation of the technology and identify how NGV’s could support our own energy strategy. Northern Ireland has enjoyed recent success in terms of energy policy, not least the roll out of the natural gas network and the success of renewables in terms of meeting electricity generation targets. We are however at a juncture in terms of identifying the next tranche of innovative solutions and the catalyst to propel the Northern Ireland energy market to its next set of successes, which will include further decarbonising the energy mix and creating efficient, effective solutions across energy sectors. There is no doubt that the transport sector will be central to future successes. It is therefore critical at this juncture for leaders across the public and private sectors to grasp this opportunity, explore and challenge the proven technologies that exist and, most importantly, conclude by producing a clear strategy for the transport sector. This strategy will allow industries charged with delivery to move forward and work collaboratively with likeminded industry partners to start the journey of the next success story in Northern Ireland’s energy sector. Phoenix Natural Gas has already started this conversation with key stakeholders within the energy and transport sectors, ensuring that there is a broad understanding of the wider opportunities for future gas utilisation in a sector that is bracing itself for change in the coming years. 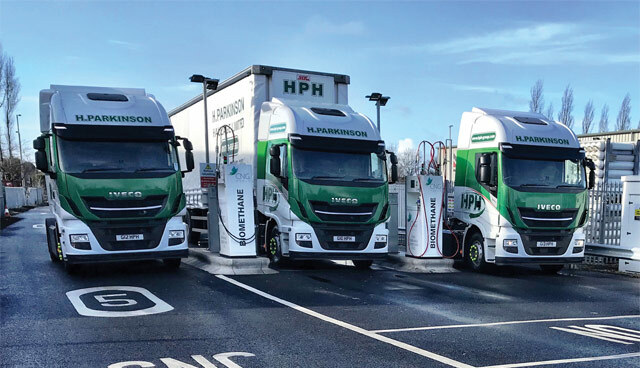 We believe that the shift generally towards CNG across the UK is inevitable and that it is great news not only for the gas industry, but for the wider economy. This major shift in energy solutions has the potential to be achieved largely using the existing gas infrastructure that has already received such significant private investment in the last 20 years and demonstrated a proven ability to deliver. 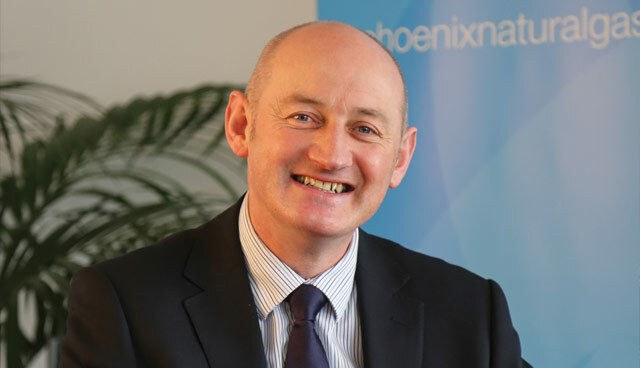 As we begin to scope out the potential for adoption of NGVs with wider stakeholders, Phoenix Natural Gas will be fuelling the discussion on gas utilisation and leading the way in creating a cleaner, greener environment for Northern Ireland.